Hubby has been cooking a lot lately. His newest concoction is awesome. Cut up some steak into strips, saute some minced garlic and italian herbs in olive oil. Add meat, sliced onions, some soya sauce. About five minutes before done add some green onions. This dish is so yummy I can't get enough! Serve over rice. That sounds GOOD!! I have to try it sometime!!! THanks for the great idea! 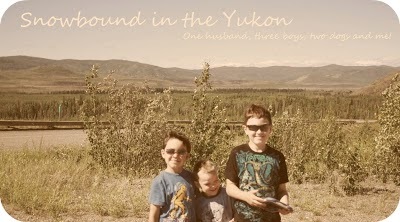 Sounds so good...and easy.I too have 3 boys and I just stumbled upon your blog and love it.I will definitely be back!